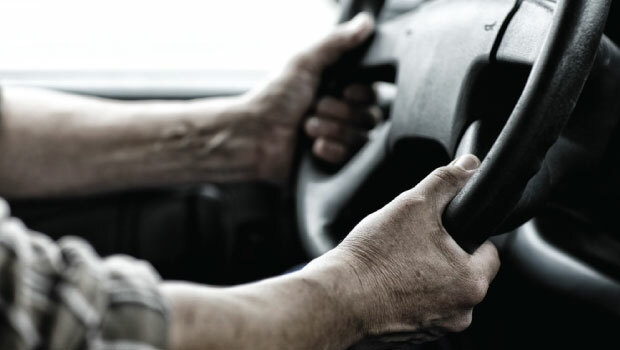 ROP to tighten the noose on dangerous drivers « Being The Safe Driver! Behind The Wheel! SOURCE – Times of Oman – April 12th 2014. Image For Demonstration Purposes Only! Muscat: The Royal Oman Police are working to regulate traffic inside residential areas in a bid to reduce the growing number of accidents on service roads. Royal Oman Police (ROP) statistics shows that 212 people were killed when struck, while 678 others were injured in 2013. “Residents must take action when encountering reckless drivers on the service roads,” a source at ROP told Times of Oman. He said residents must not attempt to apprehend reckless drivers, neither stopping nor chasing them, but must contact the nearest police station to file complaints which, in turn, can reduce the dangers of driving fast on service roads and result in fewer accidents. Residents are asked to note the plate numbers of speeding autos and contact the nearest police station and complain. He added that the police station will identify the owner of the vehicle and instruct the driver to report to the police. The police may choose the proper penalty for the accused, after questioning the driver and making him aware of his behaviour. Often abused as a shortcut, many road-users have a low degree of vision when driving in residential neighbourhoods, as there are children playing and high hedges which obscure the vision of drivers. Some drivers travel at high rates of speed on service roads in order to escape Muscat traffic congestion where the speed limit is between 40 to 60 kilometres per hour. “I find it dangerous to leave my kids playing outside the house, especially because I live very close to a service road,” said Said Khalfan, an Amerat resident. He explained that he has witnessed many vehicles moving very fast while close to his house. “My neighbour’s vehicle was damaged one day while parked outside his house,” Khalfan noted. He said he and his neighbour heard a crashing sound and rushed outside, but saw nobody. However, his neighbour’s vehicle was damaged and the owner was left to pay for the cost of repairs. In another case, Hussain Al Rahbi recalled a tragedy that occurred when his relative was playing in the neighbourhood. “The kids were playing around the houses when a speeding vehicle ran over one of my relatives,” said Al Rahbi. He said the driver was not a resident of the neighbourhood, as the driver was heading to his work in the afternoon, and the main road was jammed with traffic. The driver took a shortcut to reach his office, and was surprised by children playing in the road and could not stop his vehicle before striking the child. “It really hurts when you lose a little kid in front of your door,” added Al Rahbi. Surveillance cameras have become frequently used to not only prevent thefts, but many residents now use cameras to keep watch on their vehicles and prevent them from being damaged by reckless drivers. With many hit and run cases, residents find it necessary to monitor the parked cars outside their homes. “If I had a surveillance camera, I could save the money I spent on repairing my vehicle,” said Ali Al Salhi, a Bausher resident. He said his vehicle was damaged by a truck, though he could not identify the accused, who escaped from the scene. Al Salhi now uses two cameras to keep watch on his vehicle. Despite the effort made by authorities to regulate traffic in residential areas, many residents say speed breakers have not been installed in their areas. With increased construction, some new streets lack speed breakers. In response, a ROP source explained that police, with coordination from other government units, study streets before installing speed breakers. The source added that when residents are in need of speed breakers, the police provide them. There are procedures to follow and residents should write letters, which must be signed, asking for speed breakers on their streets and the police, in turn, will request that they be installed. “I believe police must put up sign boards making it clear to motorists that they are about to enter a residential area,” said Haroon Al Hasni, a Ruwi resident.